National V.P. 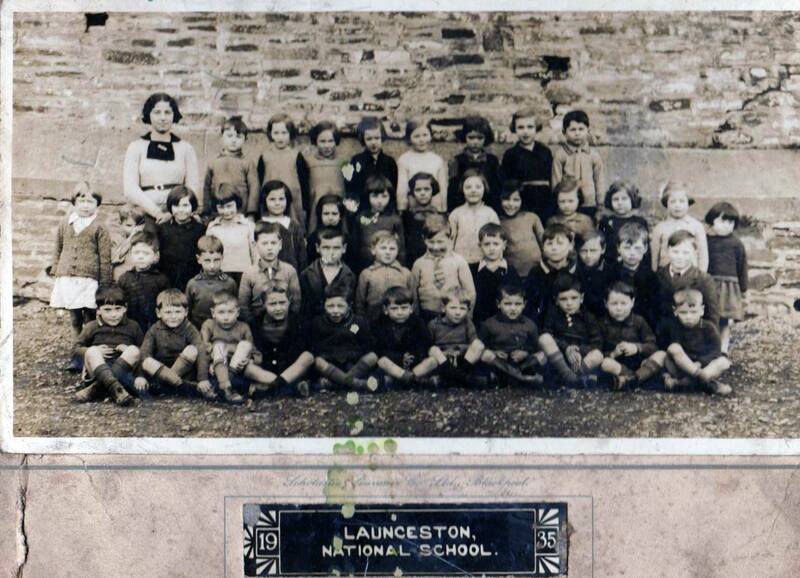 School Gallery | Launceston Then! 24 images of National V.P. 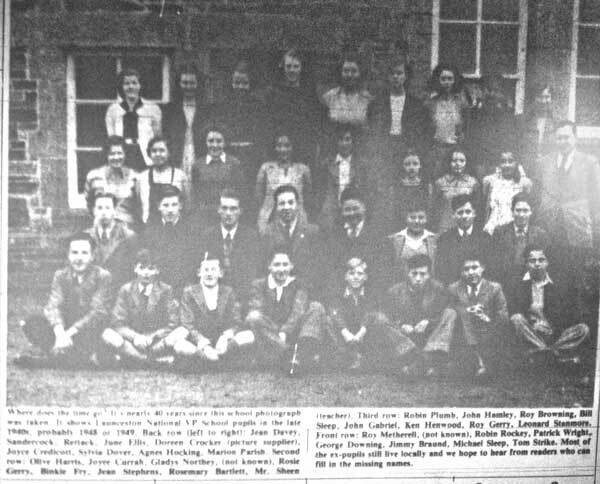 Primary School and its replacement St. Catherines C of E School and all their pupils from the past. 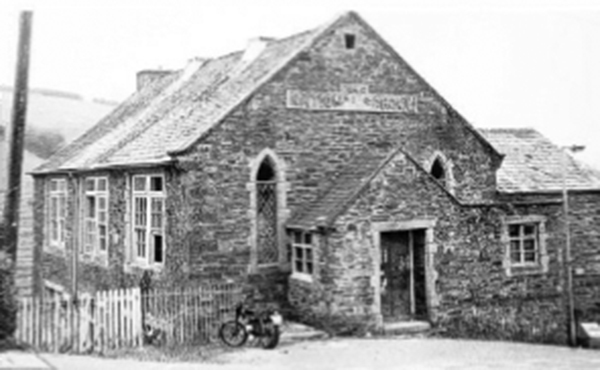 The National School, St. Thomas Road. Photo by John Neale. The National School building in 2014. 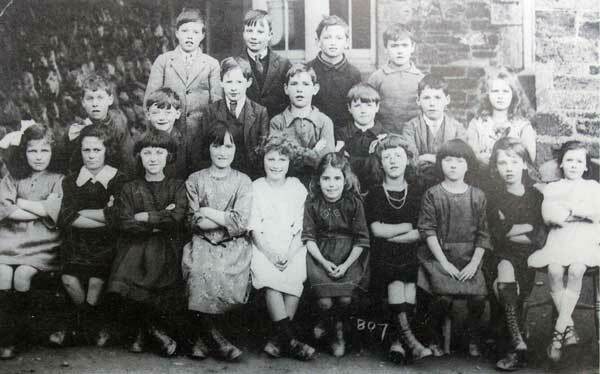 National School c.1920's with Charles Causley 2nd on the left in the middle row. National School. Photo courtesy of Kathryn Hill. 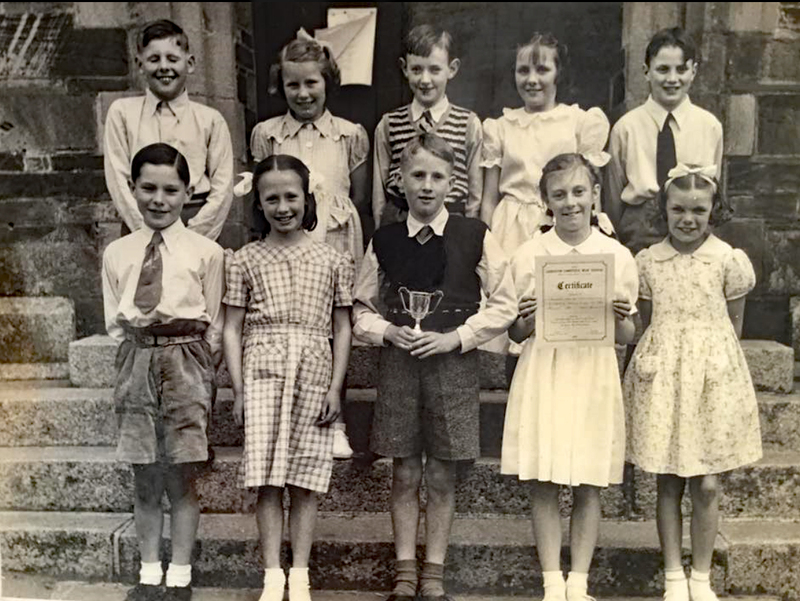 National School 1953 Launceston Music Festival Winners trained by Miss Stanbury, pianist Charles Causley. 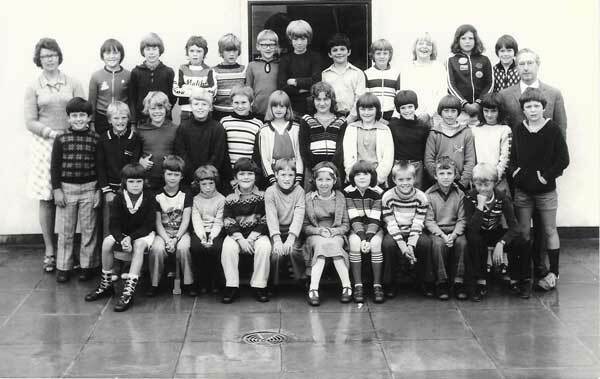 Lennard Hodge, Barbara Watkins, Edward Hutchings, Mary Kerslake, John Maguire. 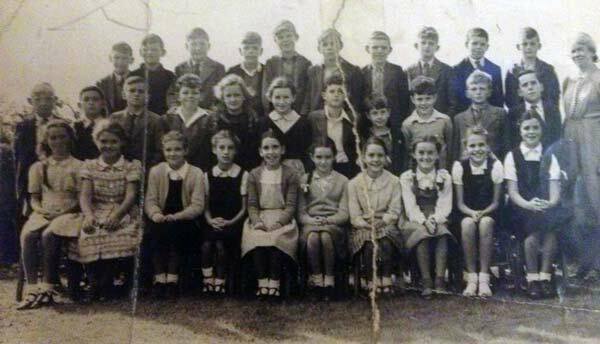 Leonard Stanmore, Gwen Harris, Geoffrey Parish, Mary Lake, Myrtle Stephens. 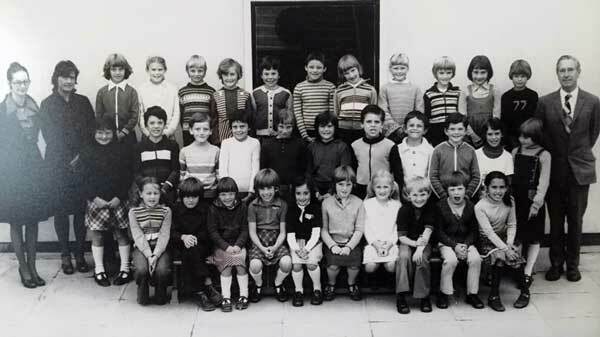 Photo Courtesy of Beryl Parish. 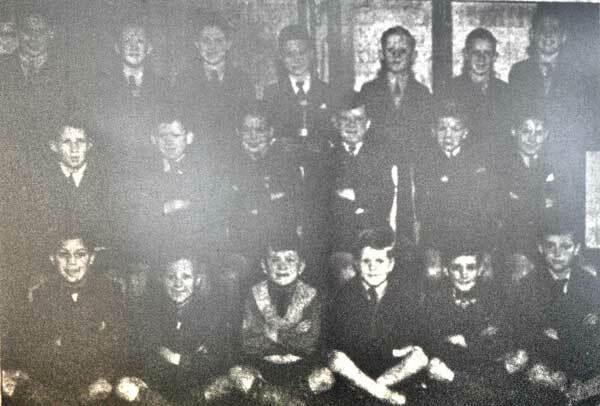 National School Boys Choir in 1954. National V.P. 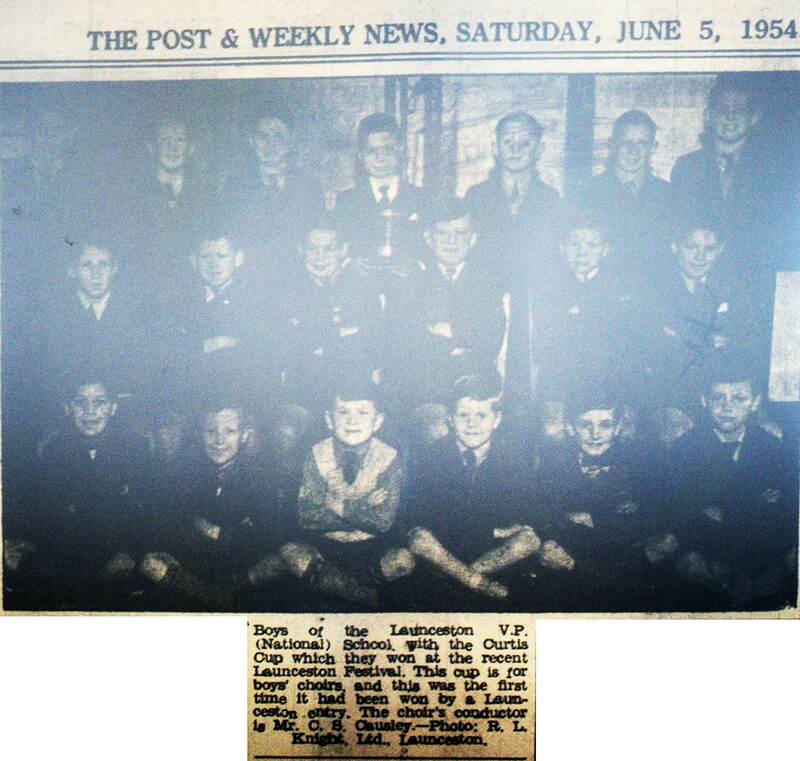 School boys choir who won the Curtis Cup for best choir at the 1954 Launceston Music Festival. National V.P. 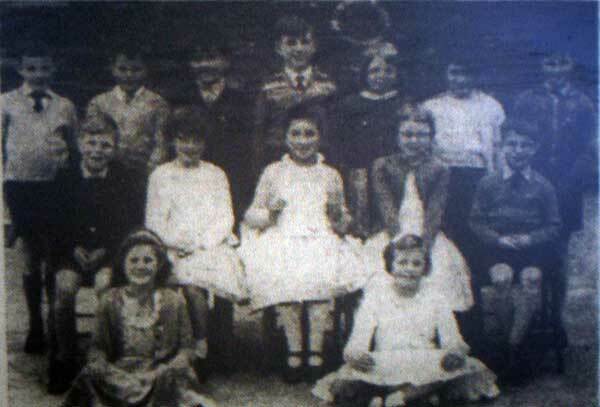 School Choir in 1954/55. Photo courtesy of Tarry Barriball. 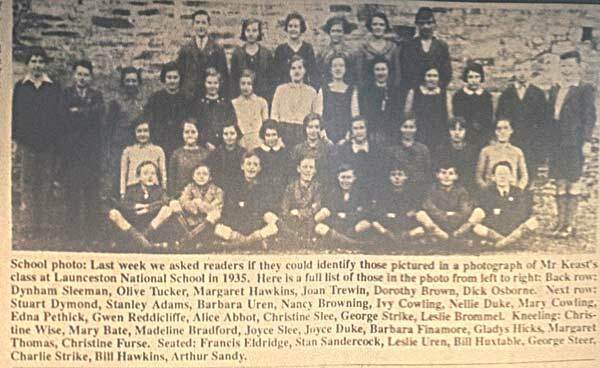 A group of children from the National School visit the Launceston Fanciers Show in the Town Hall in 1959. 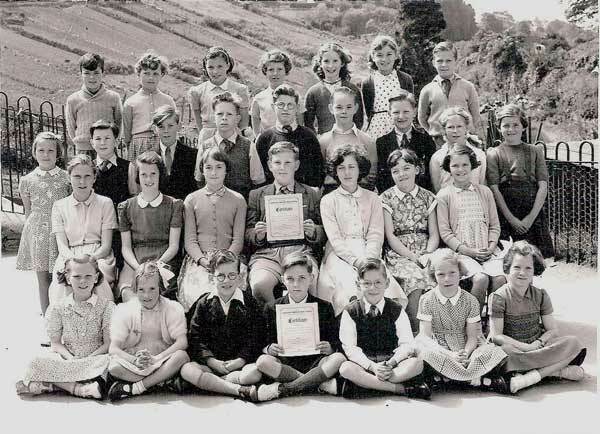 National School Maypole Dancers with the Mayor and Mayores of Launceston, Tasmania in 1961. 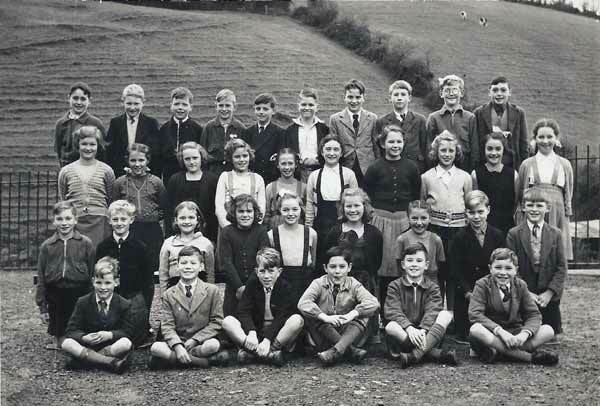 National School Choir in 1962. 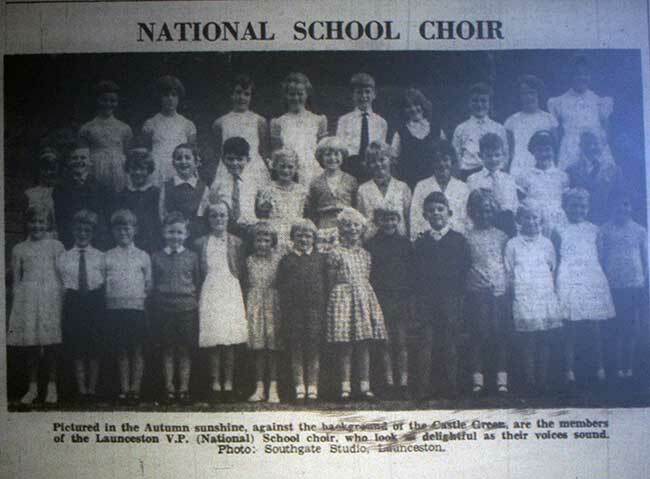 National School Choir in 1964. 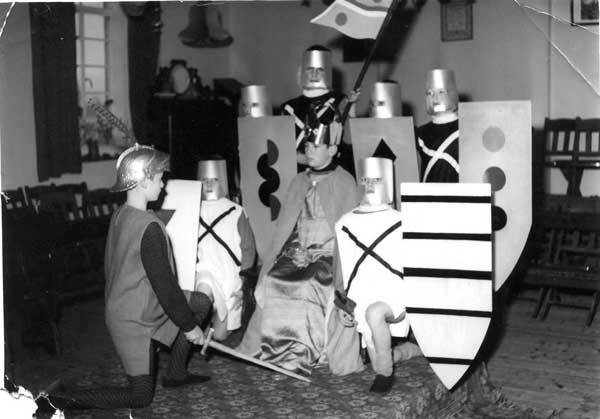 National School in 1962. .
National School Nativity play from 1967-68. Photo courtesy of Naomi Scudamore. 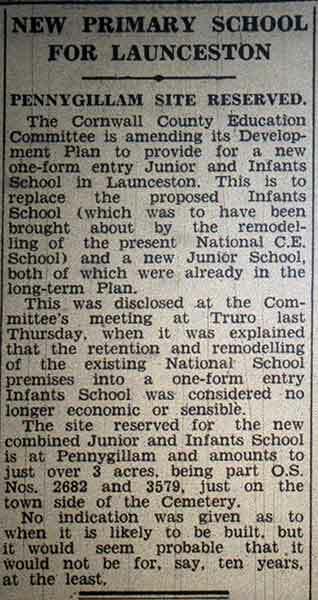 Article on the construction of St. Catherines School from May 1968. 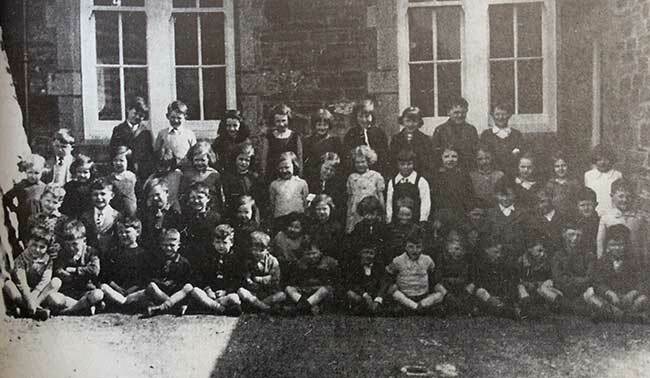 St. Catherines School. Photo courtesy of Kathryn Martin. 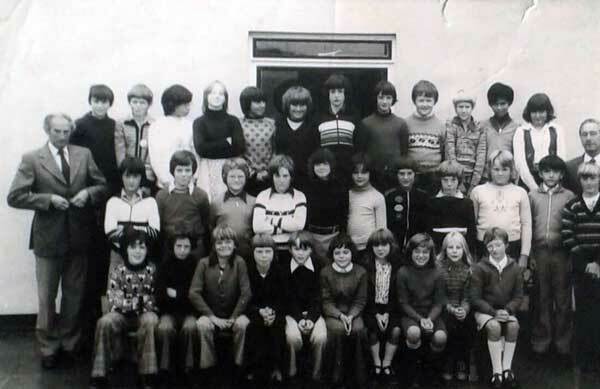 St. Catherines School 1978. 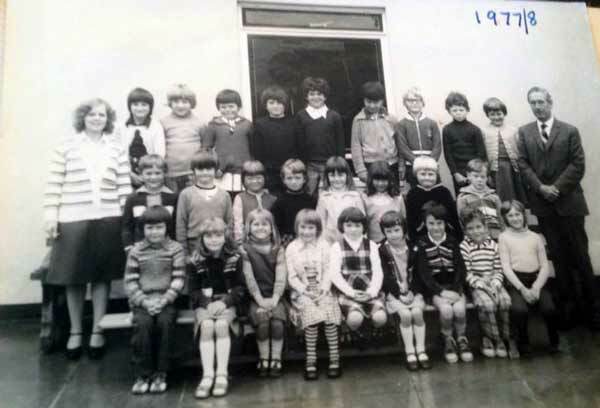 Photo courtesy of Paddy Curtis. 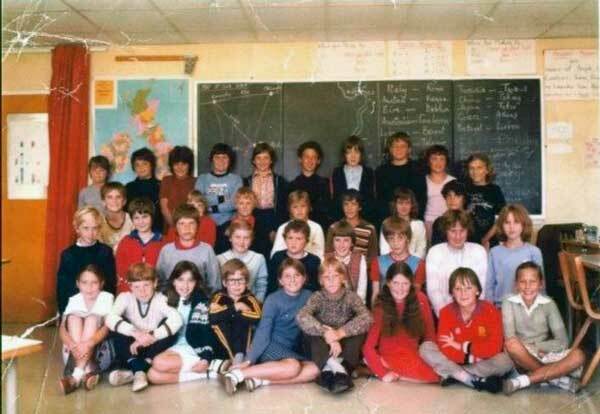 St. Catherines 76-77 Photo courtesy of Nick Dyne. 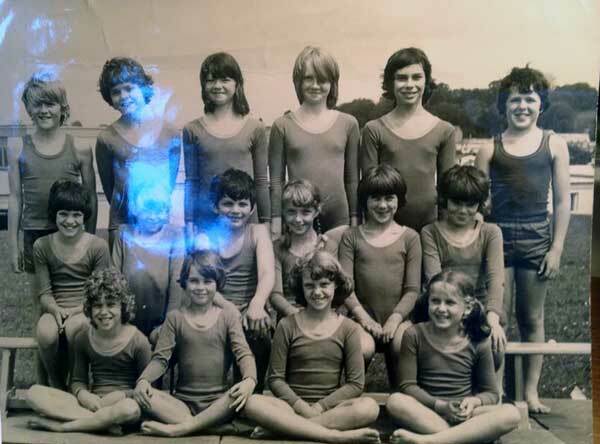 Back Row:Mrs Beer, Peter Wyatt,Karl Hockridge,Johnny Phillpotts,Nick Dyne,Andy Bridges,Paul Jones,Neil Partridge,Martin Baker,Tracy Trevalyon,Tonya Keat,Graham Burden,middle row- Mark Symons,Steven Hancock,Ian Clements,Steven Binding,David Tout,Caroline Nut(? 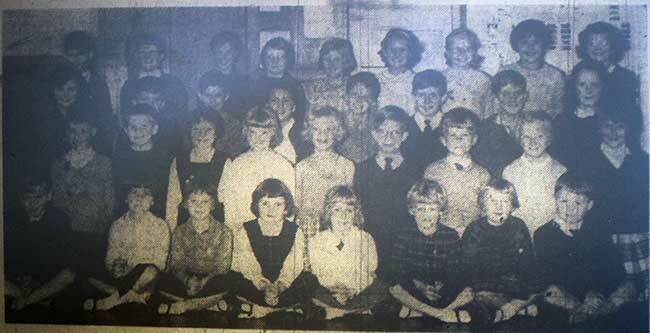 ),Tanya Bartlett,Tracy Pengelly,Jo Matthews,Alison Taylor,Karen Burge,Ian Gilbert.